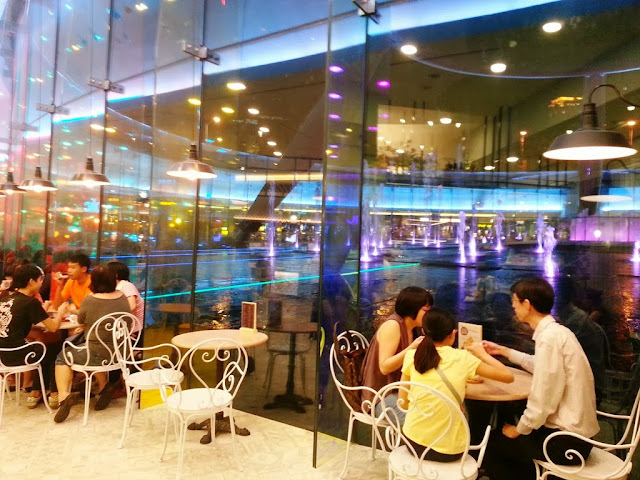 It was an impromptu visit to the new dining area located on the basement level of Suntec City that we came across this dessert hideout. 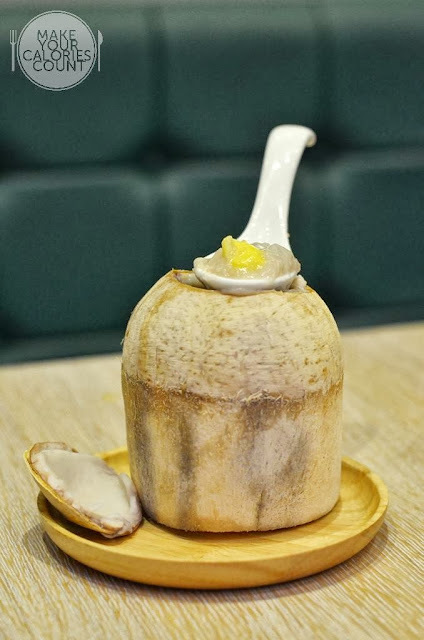 Located next to Bread Society Cafe and opposite Food Republic, we were surprisingly attracted by its somewhat presumptuous name, hand drawn desserts posters and menu. 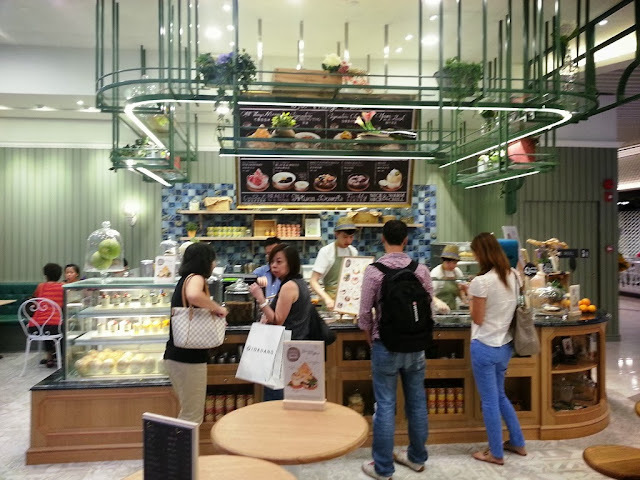 We were eager to find out if it can live up to its name serving Singapore local traditional desserts! 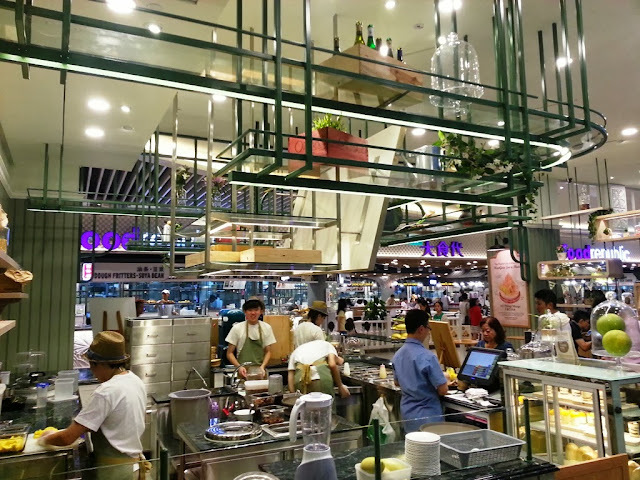 A very simple layout with self-ordering counter and food production in the same open concept area, so that you can scrutinise their production process closely. After ordering, we were given a 'Beeping UFO' where it would 'beep' for our attention where our orders are ready and then we could collect it from the counter. A soft seat we came forward to put our tired legs to rest! 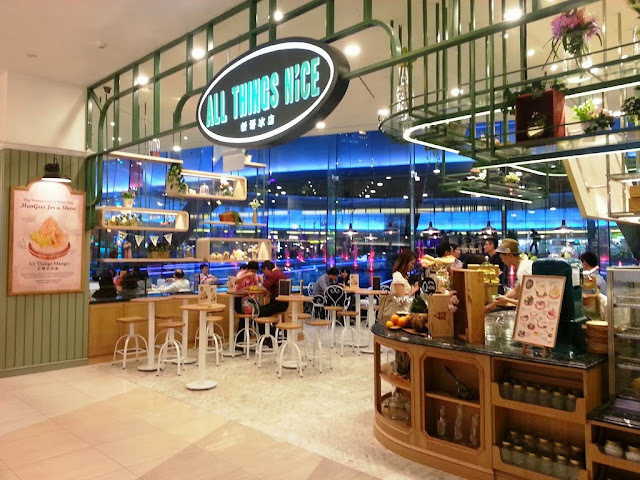 We were not surprised with the price range of the items on the menu at this comfy eatery tucked away in a corner at Suntec City and facing the glamorous Fountain of Wealth. 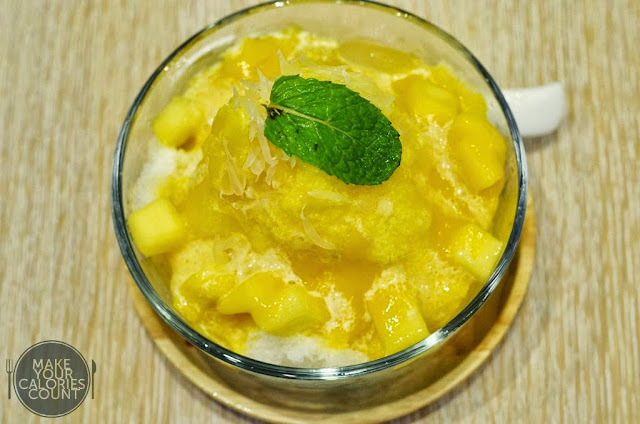 Drawing comparisons with the local S$1.50 desserts that you can get at most hawker centres in Singapore, these desserts that were priced at a premium better be doing the price tag justice! The portion of their signature chendol was about double size of the desserts you get at local food centres. We particularly love the bouncy white pearls, crunchy sweet jackfruit slices and this rendition of jelly noodles with lesser green food colouring. 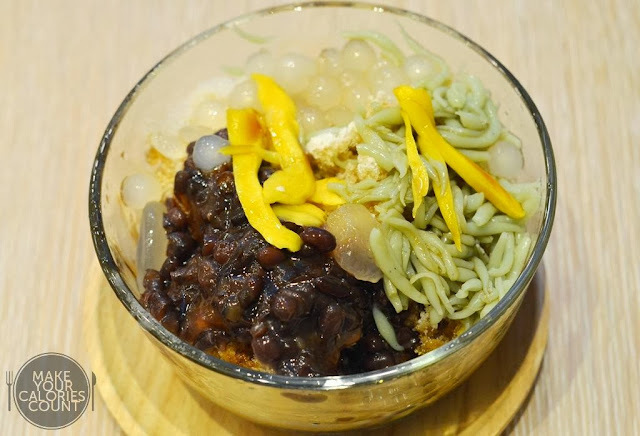 But other than that the dessert was a disaster, the mushy mashy red bean was overcooked and it would have been better if the amount of gula melaka that drizzled onto the shaved ice can be as much as the one we had at Jin Jin Hot / Cold Dessert. Last but not least, the biggest flaw of this dish was the shaved ice served. Initially, we found the ice a bit rough to swallow, then we realised there were bigger ice rocks underneath which could easily cut your tongue. We tried to use our spoons to break loose the ice but they were hard like an 'iceberg'. They seriously need to make some changes to their shaved ice machine. This bowl of ice had the same problem as above and I would not want to further elaborate upon the mistake. 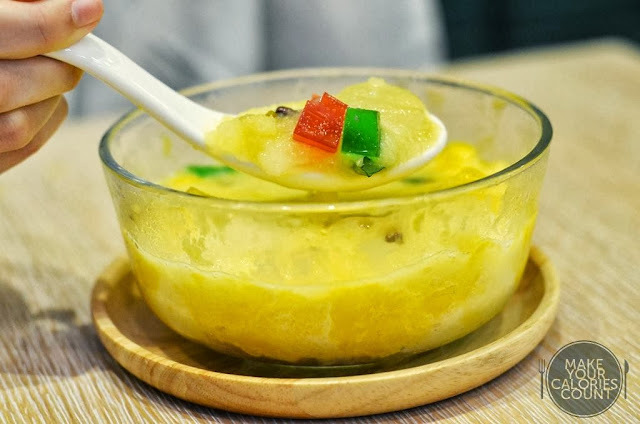 The mango ice looked tempting when it first came to our table, but then when I looked closer...the mangoes looked unripe and pale yellow in colour. This really had stopped me from starting to take up my spoon and dig in even though I have a high tolerance for sour food. 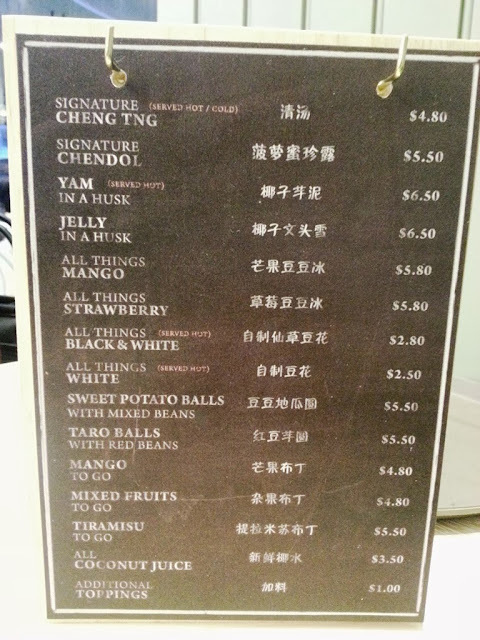 Luckily, the sour mangoes were compensated with the sweet mango sauce and pomelo flesh and suited our palate better. However, we were contented with the generous amount of jellies and beans tucked underneath the ice. After the shaved ice tragedy, we were still hoping to taste something that is nice, as claimed in its brand name. This dessert reminded me of the coconut pudding in a husk tried in Kota Kinabalu. Till date, I could still reminisce the taste and had been trying to find a dessert that bore some resemblance in terms of taste. Could this be it? This was certainly one of the best desserts I had so far. 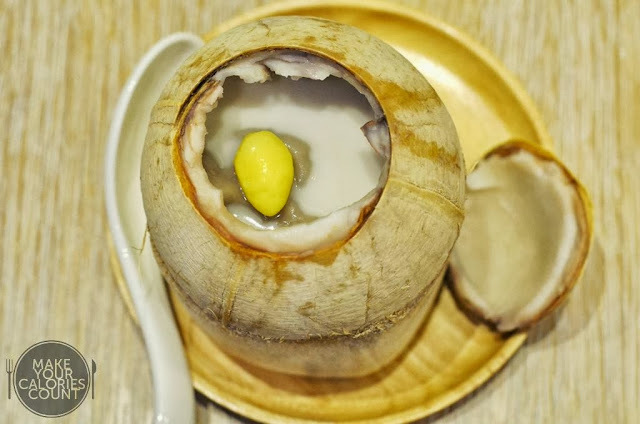 The combination was just perfect with the limelight being the fresh yam paste and coconut milk, complemented by fresh gingkoes hidden inside the filling. 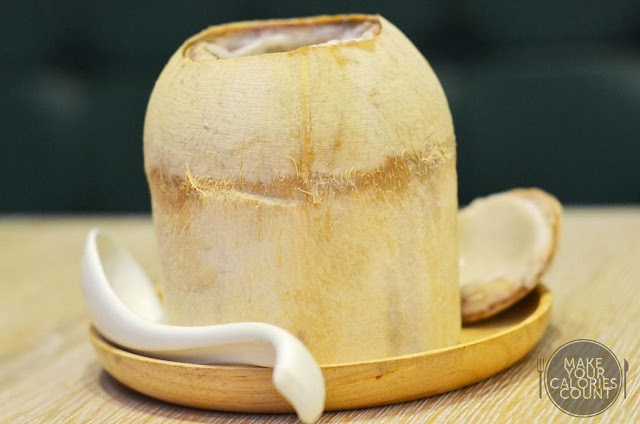 We love that this dessert was served hot in a young coconut husk to bring forth the fragrance as well as the natural savouriness of both of the ingredients without adding much seasoning to liven up. The balance in flavour was just flawless. Beware that try not to mix the yam paste and coconut milk together as the flavour became indistinct and vague, we accidentally did that while trying to scoop out the crunchy flesh of the coconut. But do enjoy the three elements coming together beautifully and in harmony in one spoon and you will understand what I mean. It is definitely a dessert that made for the yam lovers! There is not much to talk about in terms of customer service since one would be expected to self collect, but the manager who took orders from us was polite. 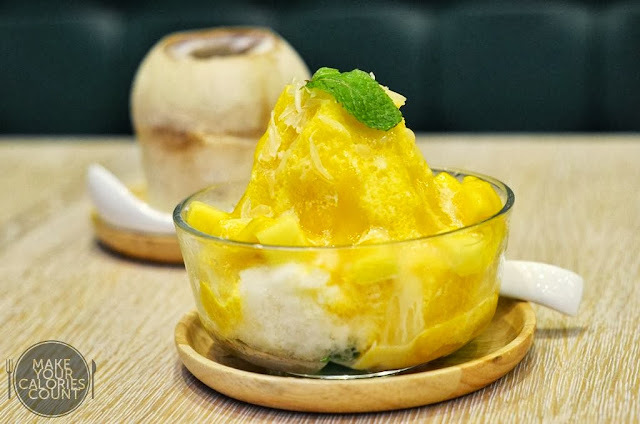 While there are so many decent local dessert places out there in Singapore, we find that All Things Nice struggles to differentiate from the crowd. 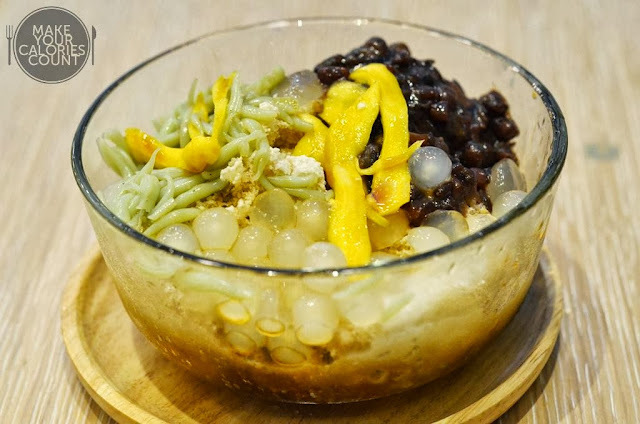 The first thing they have to overcome before competing with others is the rocky ice they served as there are few desserts with shaved ice that are their signatures. After all, I guess we will just stick to the Yam in a Husk when we pass by this dessert corner again or when a sudden craving kicks in!